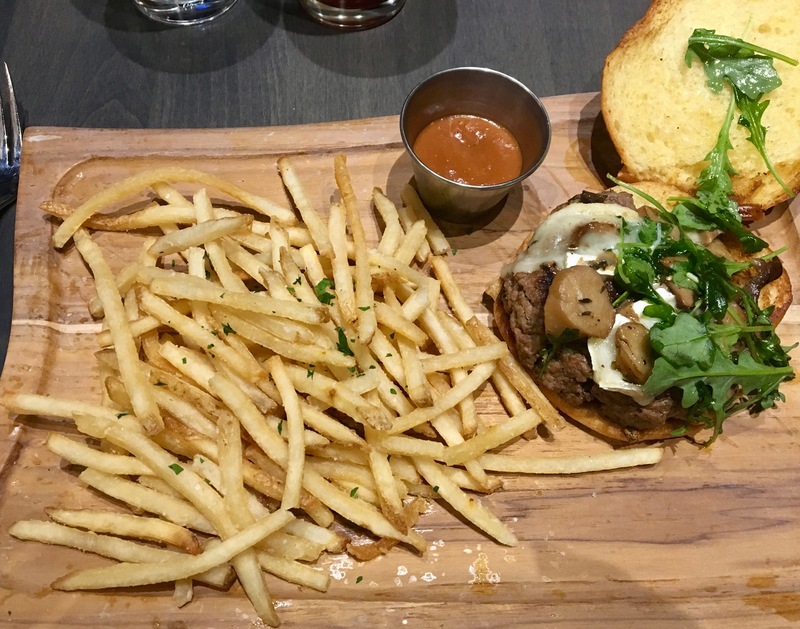 What do you get when you cross South City Kitchen with Flip Burger? 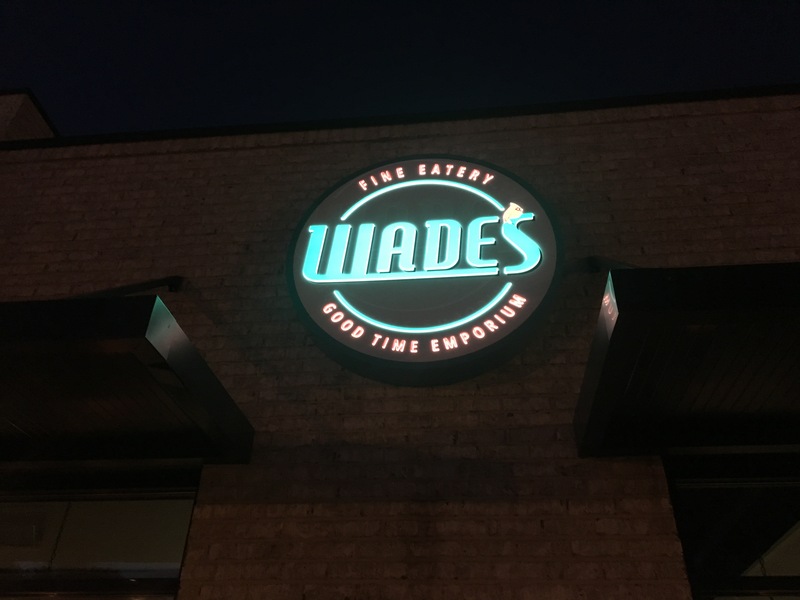 The answer is Wade’s, Smyrna’s newest neighborhood burger joint. 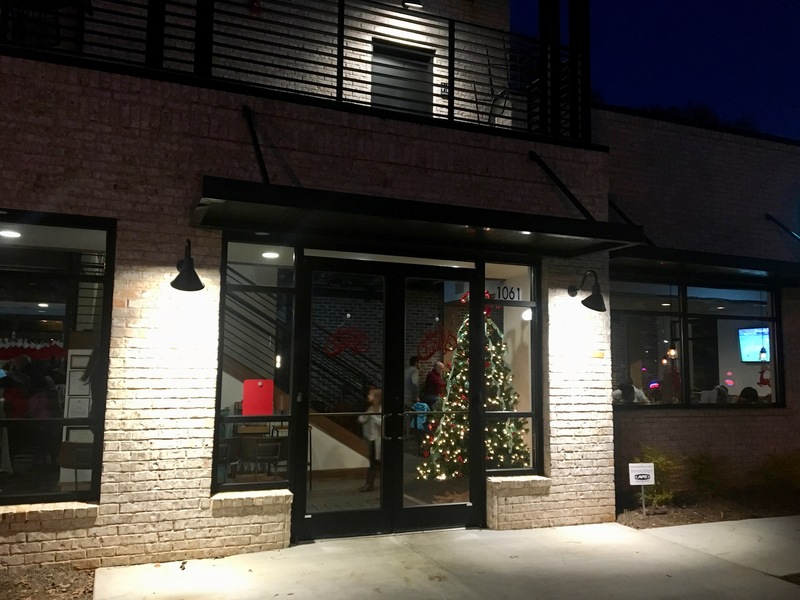 It seems the owners of Wade’s used to work with South City and Flip, and they joined together to create Wade’s, located just a few steps from beautiful downtown Smyrna. There’s been a lot of development in this area, and Wade’s is the continuation of the beautification of this area. Those who remember the late Belmont Hills Shopping Center will be amazed at how much better things are looking in Smyrna. When Smyrnans and Date Night regulars Claudia and Randy invite us to check out Wade’s, we jump at the chance. The building is all new. 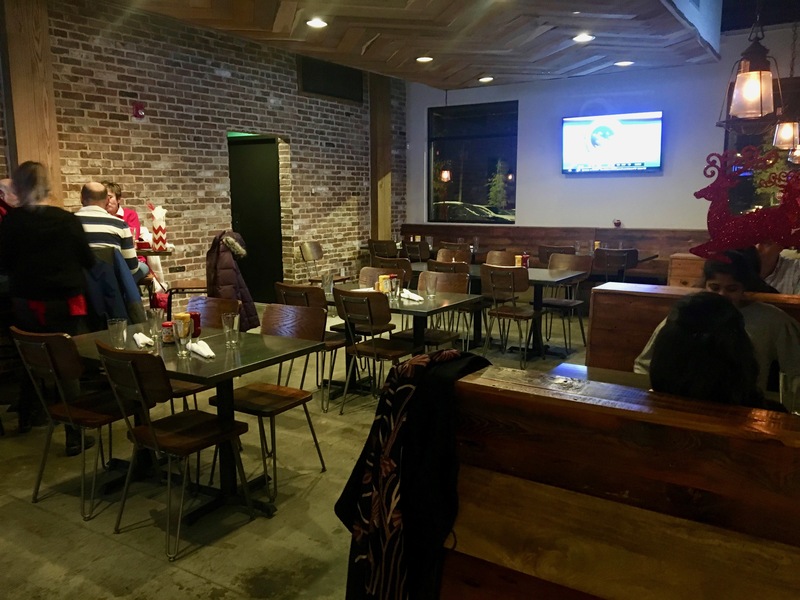 There’s a bar and lots of brick and wood, which keeps things cozy. Evidently, you can go upstairs and there’s nice deck, but we go two days after Atlanta gets hit with six inches of snow, so sitting outside is not an option. Alas, as we shall soon see, the snow affects much more than our choice of seating location. Let’s order some beers, shall we? There’s lots of taps, and a lot of it is local. We wait a long time for the beers to be delivered, but we won’t make you wait long for a picture of them. It’s cold, and we are in a dark beer mood. 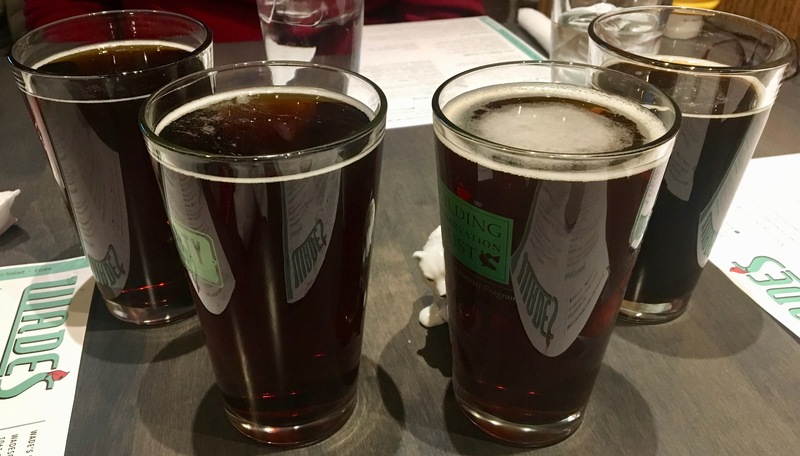 From the left, we have Highland Cold Mountain stout, two Reformation Cadences and a Highland Oatmeal Porter. All are good on this snow-covered night. There are salads, sandwiches and a few entrees on the menu. In the “from the herd” section of the menu, there are seven burgers. We get four of them. After all, Wade’s has the burger lineage from Flip burger. Before we get to burgers, I should point out that it takes a long time for them to arrive. It doesn’t matter because we are with dear friends and the time flies by quickly. Ah, at last our burgers are ready. First up, Claudia’s Frenchman, featuring bleu cheese, bacon, and onions. Speaking of onions, those rings are gorgeous. 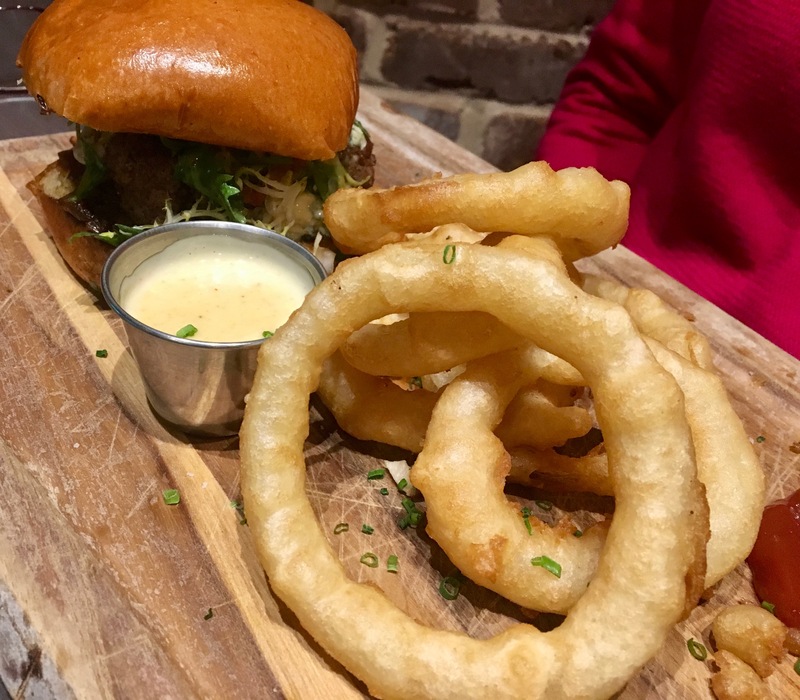 And the presentation of the burgers on a wood board is nice. Some of the burgers come “Juicy Lucy” style, with cheese stuffed in the middle. Randy’s “Wade’s Way” burger does just that. Good food bloggers would have gotten a picture of it, but nobody said this was a good food blog. We must have been too busy eating at the time. Here’s Eve’s burger, the “Americans Ruin Everything”. It’s got brie and mushrooms on it. Here it is cut open. It’s a bit overcooked. They don’t ask you how you want your burger cooked. Our fault for not saying, or their fault for not asking? The fries at Wade’s are quite good and we bet you can’t eat just one hand(ful). The spuds are addicting and leave us wondering exactly what it is they put on there that makes them disappear so fast. The “Bravo Pavo” is stuffed with Mexican cheese and topped with slaw and guacamole. I ordered Brussels sprouts on the side instead of the fries, but our server screwed up and I would up with both. This one comes cold, like it had been sitting around for awhile. However, had I known how good the sprouts were going to be, I would have put them front and center in the picture. They are drizzled with movie theater butter and tossed with caramel corn. It’s like eating a box of popcorn that’s good for you. Well, with all that butter it’s not so healthy, but who cares when the sprouts taste this good? 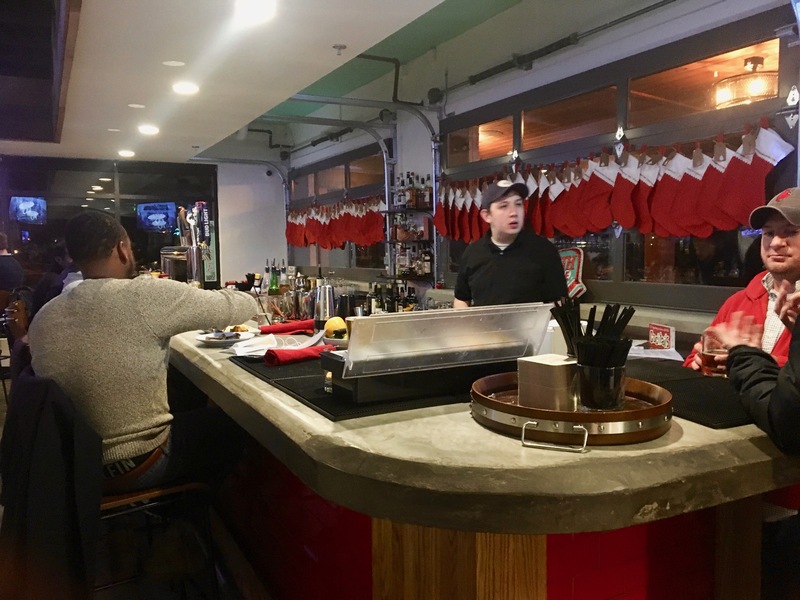 The bottom line on Wade’s: A worthy addition to the Smyrna dining scene. They do need to work on their wait times. We waited a long time for everything, and not everything came as ordered. We’ll give them a pass as we feel the snow may have left them short of staff. 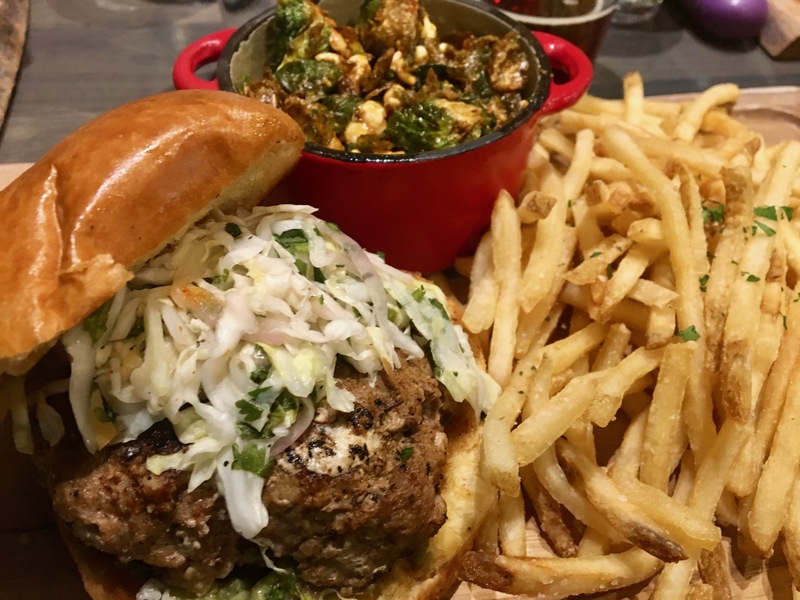 The burgers are quite enjoyable, and don’t miss those Brussels sprouts! 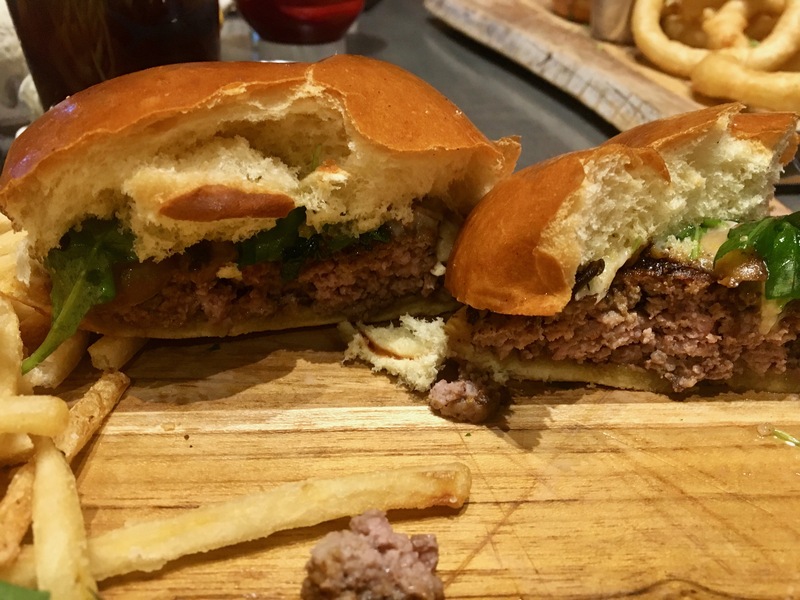 Previous Post The Impossible Burger: Where’s the Beef?